Whitney and Dan were having their wedding at the Naples Beach Hotel, and wanted something for her save the date cards that would really wow her wedding guests! Whitney turned into her own Naples Wedding Planner. Dan didn't like all the wedding planning because it was costing him so much money! Whitney thought this was the perfect idea to showcase their love for each other on their save the date cards. We also did a traditional Naples engagement session downtown to compliment this photo that was only used on the save the dates. 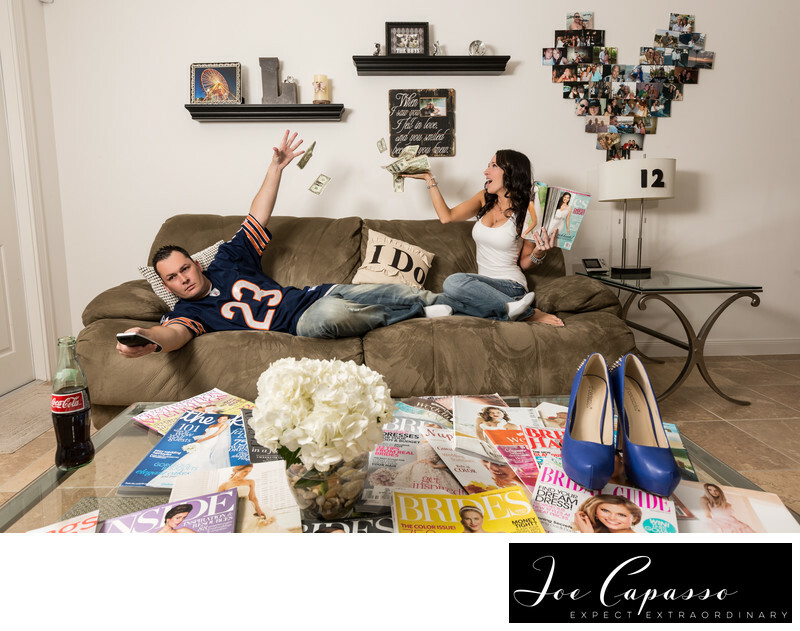 We photographed the couple in their Naples home for this photo shoot. Keywords: bride to be (3), engagement (3), engagement photography (3), florida photographer (6), getting married (3), naples photographer (18), weddings (6). 1/200; f/8.0; ISO 100; 19.0 mm.